Make a move and settle in this updated home on a beautiful piece of property before the spring. 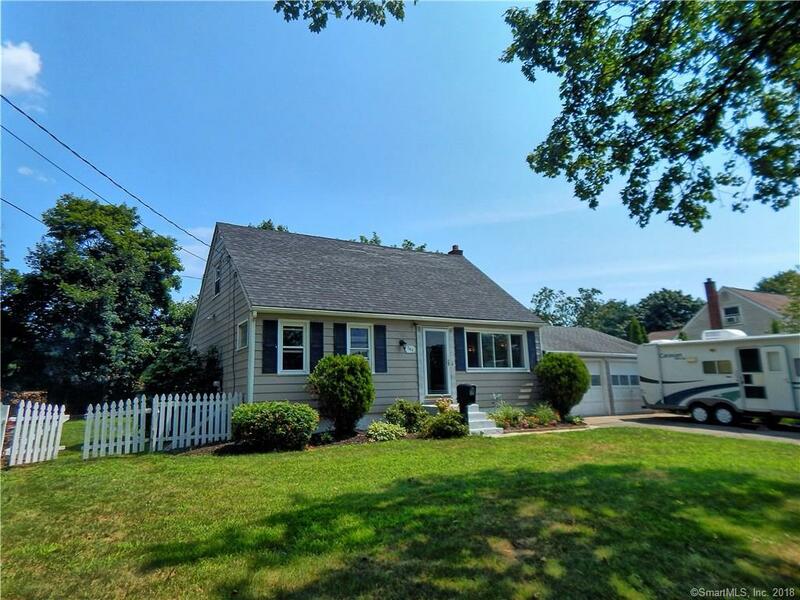 Desirable north part of Milford (across from the field and close to Platt Tech). Hardwood floor throughout. Inviting living room with picture window and cozy fireplace. Enjoy nicely remodeled eat-in kitchen with new ss appliances, new countertops/back splash and island with pull-out drawers. Spacious & bright dining area with access to deck. 2 bedrooms on each floor. 1st floor master with large double closet. Bath nicely remodeled. Ample storage throughout, including attic crawl space. Don't miss partly finished lower level that can be used as family or rec room -- not included in the square footage. Propane furnace only 5 years old and new roof. Oversized lot will simply amaze you with A/G pool, coy pond, patio and other areas perfect for any type of recreation activity. Hard to find attached 2 car garage with work benches and windows. Seller motivated.